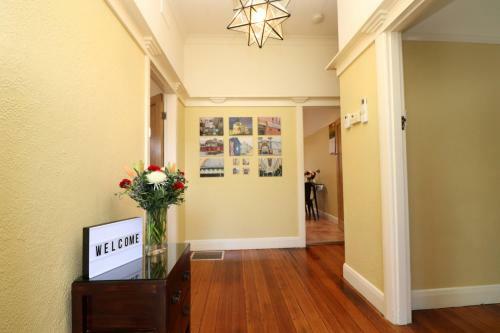 Located in Melbourne, within 2.2 miles of Melbourne Zoo, Brunswick Renaissance - Rejuvenate Stays offers accommodations with free WiFi and air conditioning. 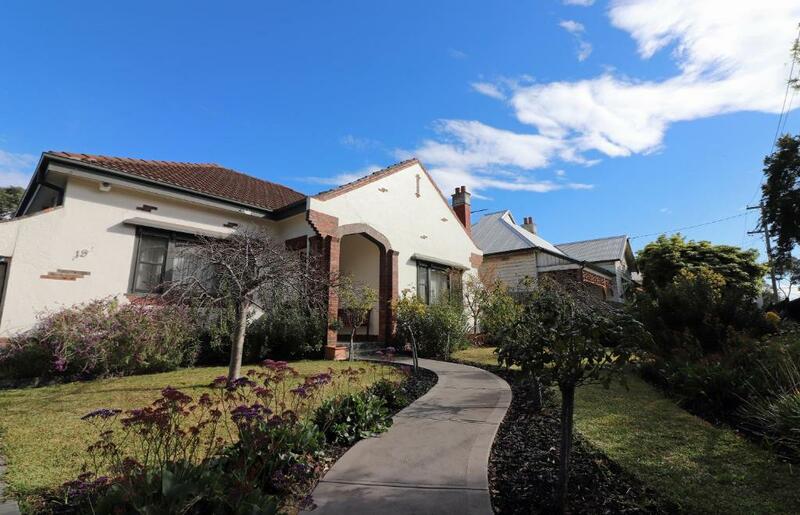 The property is 3.8 miles from the Melbourne City Conference Centre. The vacation home features 2 bedrooms, a living room, and a kitchen with a dining area. The vacation home also provides a flat-screen TV, and a bathroom with a bath and a shower. State Library of Victoria is 3.9 miles from Brunswick Renaissance - Rejuvenate. 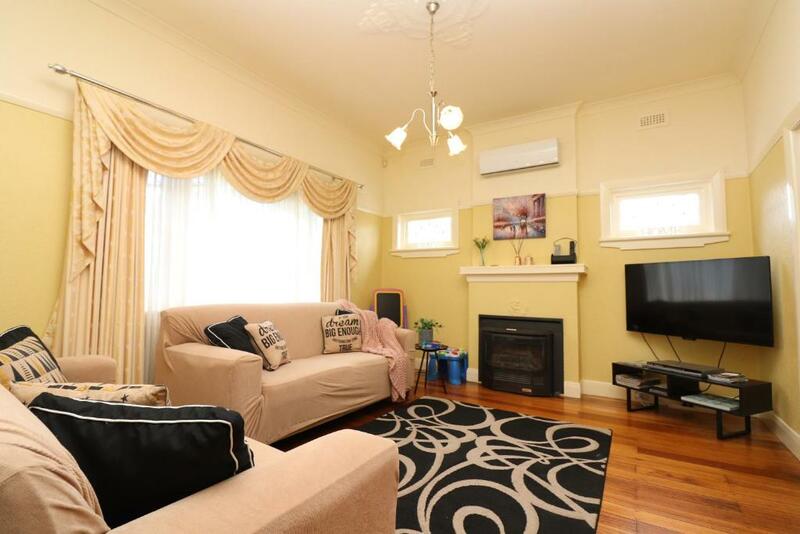 The nearest airport is Tullamarine Airport, 11 miles from the accommodation. When would you like to stay at Brunswick Renaissance - Rejuvenate Stays? This holiday home features air conditioning, seating area and iPod dock. This art deco styled home includes many extra little details and touches to make your stay special. The home has 2 bedrooms, 1 bathroom, kitchen, living room, dining room, laundry facilities, and established landscape gardens and lawn. The kitchen is fully equipped with a large stainless steel fridge, cook top, under bench oven , microwave, dishwasher, coffee machine, coffee pods, kettle, toaster, pantry, storage, fry pans, saucepans, cookware, utensils and kitchen essentials. Bedroom Configuration Bedroom 1 - A comfortable queen ensemble, wooden cot and wooden change table Bedroom 2 - A tri bunk (double bed on the bottom and a single bed on the top) and a separate single bed. We love renovating and antique shopping. We travel often with our young family and travelling as a family of 6 brings it great challenges so this is why we have opted to accommodate up to 7 guest in our house. We hope you have a wonderful stay at our property. Enjoy! House Rules Brunswick Renaissance - Rejuvenate Stays takes special requests – add in the next step! Brunswick Renaissance - Rejuvenate Stays accepts these cards and reserves the right to temporarily hold an amount prior to arrival. Please inform Brunswick Renaissance - Rejuvenate Stays of your expected arrival time in advance. You can use the Special Requests box when booking, or contact the property directly using the contact details in your confirmation. We need at least 5 reviews before we can calculate a review score. If you book and review your stay, you can help Brunswick Renaissance - Rejuvenate Stays meet this goal.